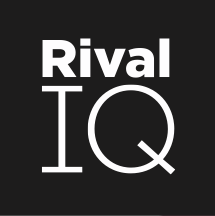 Rival IQ uses a third party data provider SEMRush to deliver SEO keyword data and requests this data weekly from SEM Rush. Depending on the popularity and search volume of keywords, SEMRush updates its various keyword database daily, weekly or monthly. ​Top 3 (remaining 44 million keywords). Every day, 6 million keywords for the U.S. Database are updated: 2 million from the Top 1; 2 million from the Top 2; and 2 million from the Top 3. Therefore, SEM Rush updates the Top 1 keywords every day, Top 2 keywords every two weeks and the rest every 25 days. The number of updated words can differ from one database to another, but the algorithm stays the same. All traffic and cost estimations are based on positions of domain for keywords from the SEMRush database, and these estimations are monthly averages. Note: on October 1, 2015, SEM Rush doubled the size of their US keyword database from approximately 40 million to approximately 80 million keywords. This change caused the number of keywords in the Top 20 search results returned to a Rival IQ landscape to double on average, and the number of overall keywords to go up by a bigger factor (at least 5), as the absolute number of keywords we report from SEM Rush now includes keywords from the Top 100 search results. We filter the results returned and display results in the top 20. We recommend that you view pre-October 1 results and post October 1 results separately to get the best results when comparing these values.